数码视频101——谈编解码器 — Digital Video 101 – Codecs anyone? Congratulations to Corpus Christi's Museum of Science and History! 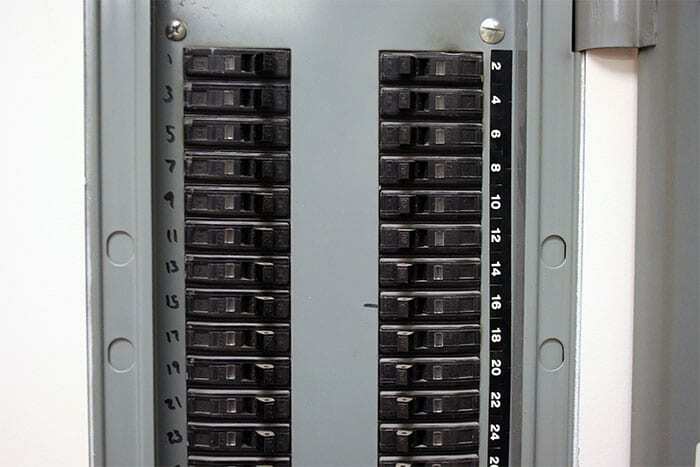 An interesting issue we come across too regularly in installations, usually older ones, is where circuit breakers in a breaker cabinet are used as switches to turn lights and sometimes even exhibits on and off. Here’s an article that tries to explain that this is not a good idea. Breakers are there for the protection of your wiring and they are intended to disconnect a circuit when something goes wrong. If nothing else, using them as on/off switches will reduce the longevity of the breaker, and worst case there is a concern over the level of (fire) protection that a worn out breaker affords your venue. Circuit breakers, according to the National Electric Code (NEC) are overcorrect protective devices, NOT on/off switches. We therefore strongly recommend against this method of turning power on and off. Both the ANSI and the NEC definitions acknowledge the potential for the legitimate use of circuit breakers as switches. Switches (pass, but do not consume electrical power) are considered as being control devices, thus one may also say that a breaker is a control device, or a controller. To aid in the understanding of a fine point, I offer this comparative example. A gas valve and a steam pressure relief valve are both controllers, one the fuel to the burners that aids in the development steam pressure, and the pressure relief valve that opens on excessive pressure. Both are controllers, one operating (the gas valve) the other safety (the relief valve). Likewise in a parallel manner; we say that a circuit breaker can control and protect an electrical circuit. An electrical relay is an example of an operating control; it opens and closes the circuit. Circuit breakers are not designed as replacements for relays, operating controls. There is as you may intuitively have anticipated an exception. Some circuit breakers are manufactured for use in a specific type of application. When a circuit breaker is designed to also be routinely used as an on-off switch to control 277 volt florescent luminaires they are marked SWD, for switch duty. This does not mean that a switch duty breaker can be used to manually control a traffic signal light where it will be cycled 1,000 or more times per day. The point is; the listing for switch duty (SWD) does not mean a circuit breaker can be used as a high frequency cycling operating control, such as a relay that has a life span rated in tens, if not hundreds of thousands of duty cycles. So: even though some of the breakers are rated to be able to turn loads on and off for maintenance purposes, their use to switch power on and off on a daily basis is not approved, and should be discouraged. It would be a lot better to have your electrician install proper switches or contractors to turn loads on and off, as these devices are designed for, and rated to perform those kind of duties. In Mad’s systems, we normally provide power management as part of what we do – this means that we have a computer that brings the power in the venue up progressively in the morning, and takes it down progressively in the evening at the end of the day. These power management systems use electronically controlled switches that are specifically designed to control power in this way – controlled, and safe. Not only that – it takes care of the sequencing so that there are no huge spikes when you take the system up, and when the system is de-powered at the end of the day, all computers are normally told to turn themselves off by the same system before power is removed, thus increasing the longevity of your system.